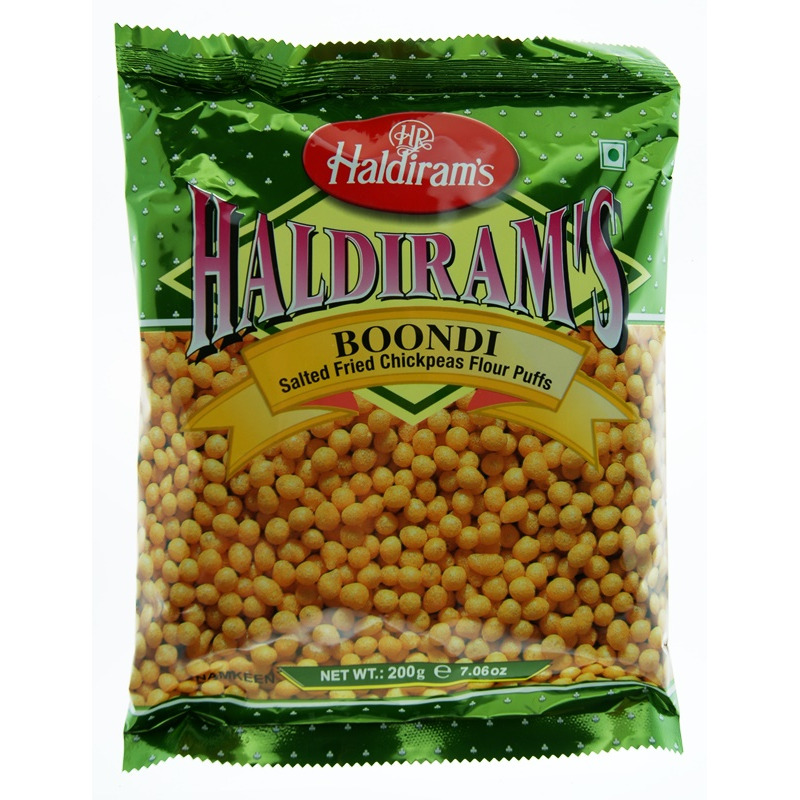 Haldiram’s Boondi Plain are tiny, fried, salted gram flour balls. They are most commonly used to prepare an Indian raita or yogurt mix, seasoned with chaat masala and fresh coriander. 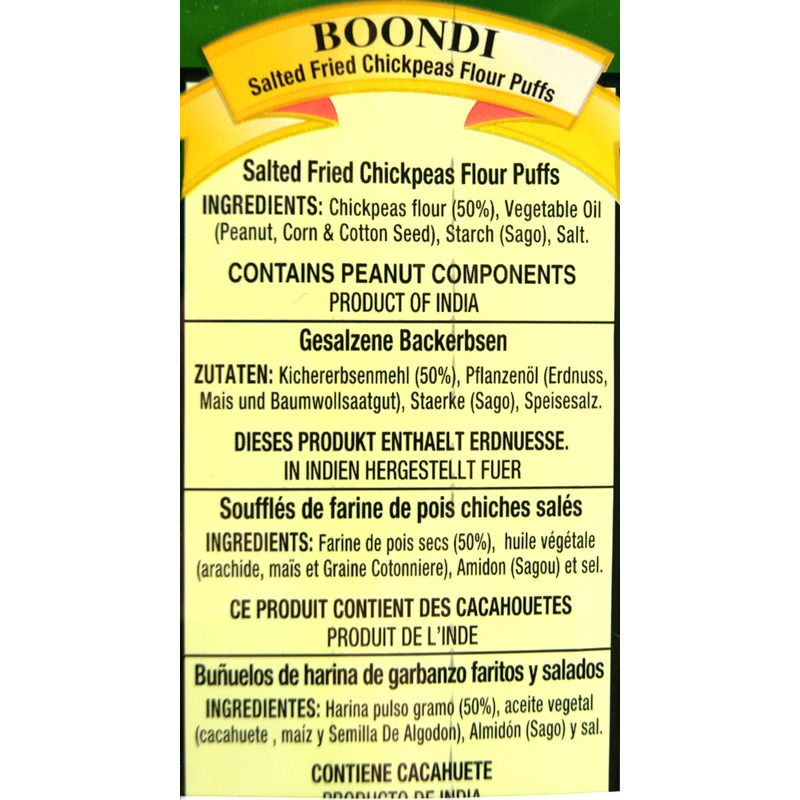 Boondi can also be added to stir-fried vegetables, chaat or eaten as is.